Save 50.0% on select products from LED Lytes with promo code 50QNT7ZF, through 1/27 while supplies last. 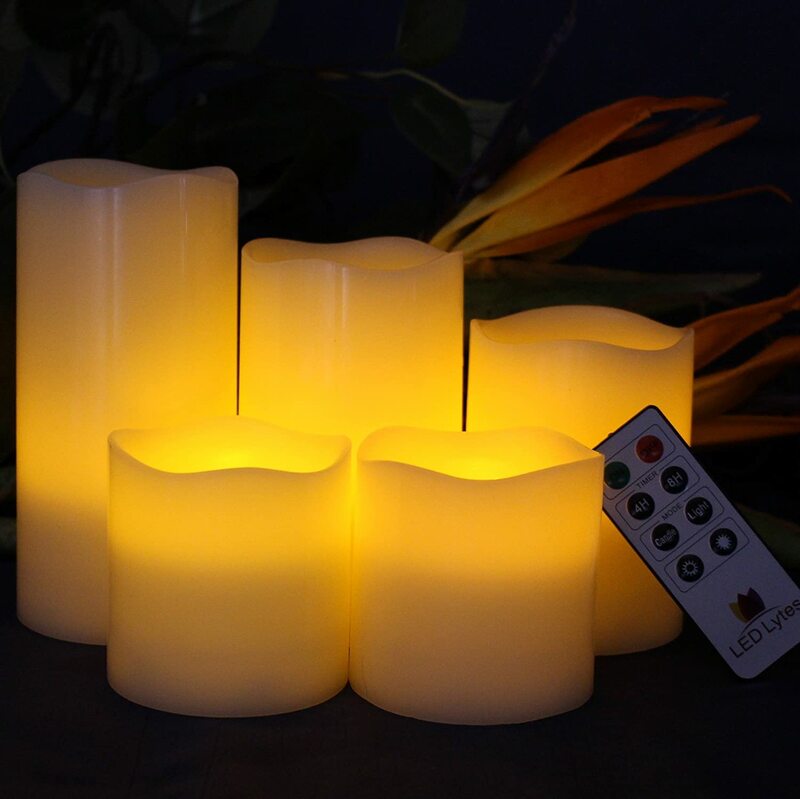 CREATE THAT ROMANTIC AMBIANCE with unscented real wax flickering pillar candles that include a multi-function remote control, they are perfect for Weddings and Parties…or a quite evening for two. EASY TO USE: On/Off switch or multi function mode remote control, hand carved top and amber yellow flame. You will receive a set of 5 sizes that are 3″ wide and 2″ 2″ 4” 5″ 6 tall. Christmas Gift Ideas! ENJOY THE BENEFITS of traditional candles! We care about your safety and a risk of fire shouldn’t be a concern. Please NOTE: Since they are made with real wax they may melt in some conditions.